The Undershirt: The Devil is in the Details | Becoming Star-Lord. The undershirt, like the pants, seemed easy to me. At first. Unfortunately, I’ve been stymied by details, once again. My first challenge is finding the right color. Interestingly, Chris Pratt seems to wear numerous colors throughout the movie, from a darker gray to a light blue. I guess this should be comforting. It shows that, despite his “filthy” ship, Peter Quill does care about clean clothes. Or at least the appearance of clean clothes. These are some shots showing the undershirt. Unfortunately, the lighting isn’t great in two of them, but you get the idea. Stop staring at Chris Pratt’s abs. So, basically, I’m going to poke around the internet until I find a shirt that is lightweight and seems to match one of Star-Lord’s shirts. Peter’s varied undershirt wardrobe should give me many options and some choice. 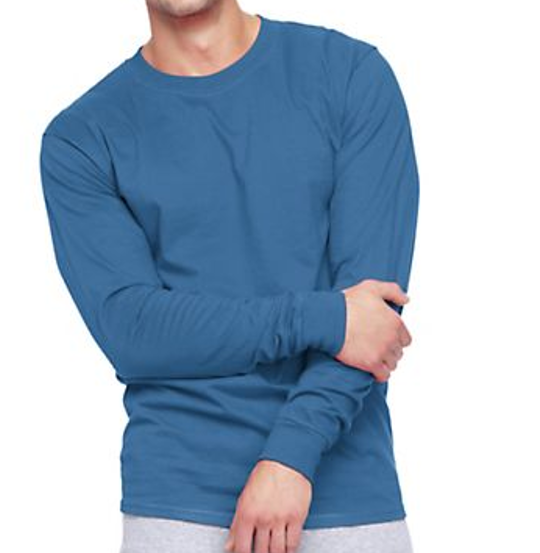 The Hanes Long Sleeve Beefy T-Shirt. A very basic option. This blue would definitely work. In addition to color, the photos above reveal some details of Peter’s undershirts which are easy to miss. First, take a look at the collar of the shirt on the left. It think, ribbed, and sits a little high. There are also some seams running down his shirt which are pretty unique. The Hanes shirts work for style and color, but they’re missing these details. I bought them as my fallback, but did not stop my search. I am determined to find one that is pretty close to perfect. Little bits of texture – like the collar and seams – are the difference between costumes that look like imitations and ones that really pop. Unfortunately, I have been unsuccessful thus far. I spent hours trying to find the right collar. The problem is that the collar doesn’t really match the style of shirt. 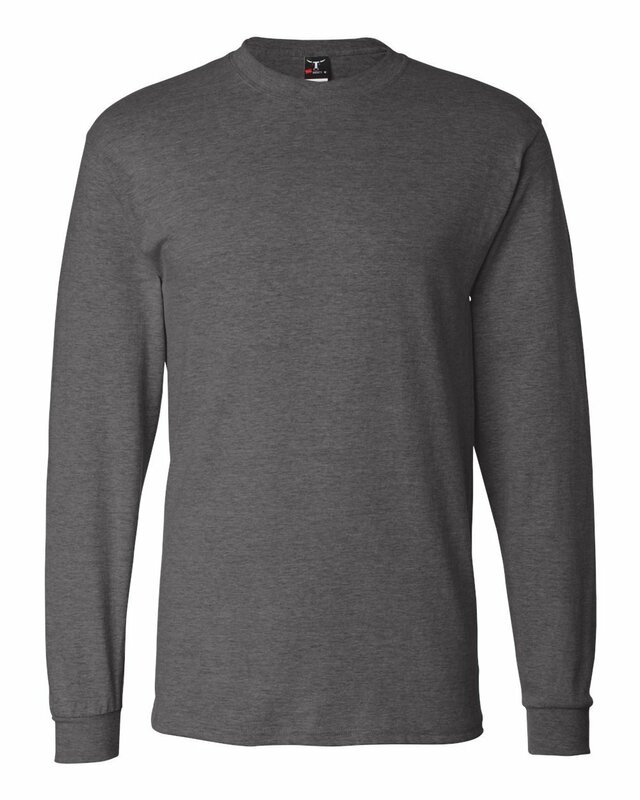 I’ve found similar collars on some jumpers and sweaters, but all the ones that look right are on heavy, winter garments which wouldn’t work. This entry was posted in Props, Shirt and tagged charity, Children, cosplay, costume, disney, fundraising, guardians of the galaxy, Marvel, non-profit, Star-Lord, Starlord, Superhero on June 19, 2015 by Liam. I scored an awesome maroon jacket (turns out it was a woman’s coat but who cares) at Goodwill that was perfect for the Star-Lord costume my partner wore for Halloween last year. Don’t give up! That’s so awesome! I really appreciate the encouragement. There are so many details and parts to this costume that it can get overwhelming. Thanks so much for stopping by and I would really appreciate your comments and advice as I continue with this project. I really want to get it right for the kids!